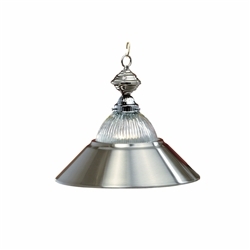 Metallic Finish & Halophane Glass Stainless Pendant, suitable to accent any room with the same stainless steel decor. 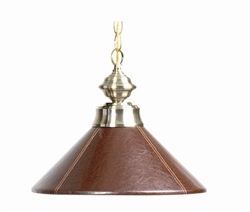 This Brown Leatherette Pendant with Brass Accents adds a contemporary accent to your gameroom. Also available in Black and a Matching 3 - Fixture Shade Light for your Pool Table. 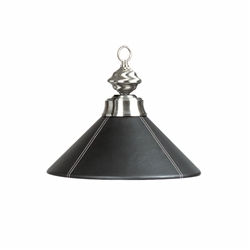 This Black Leatherette Pendant with Stainless Accents adds a contemporary accent to your gameroom. 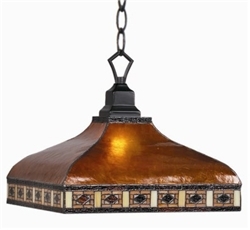 Also available in Brown and a Matching 3 - Fixture Shade Light for your Pool Table. 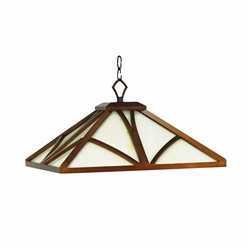 This Cappuccino finished Solid Wood framed with Stained Glass Pendant adds a elegant accent to any gameroom. 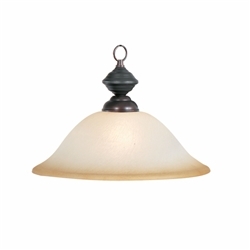 Also available in Matching 3 - Fixture Shade Light for your Pool Table. 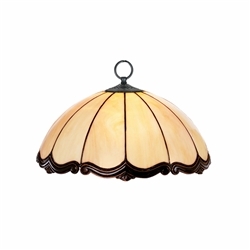 This Chestnut finished Solid Wood framed with Stained Glass Pendant adds a elegant accent to any gameroom. 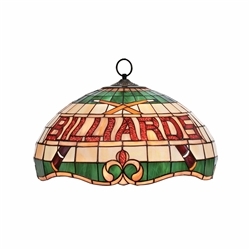 Also available in Matching 3 - Fixture Shade Light for your Pool Table. 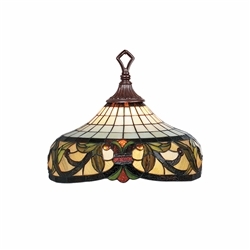 This English Tudor finished Wood framed with Stained Glass Pendant adds a elegant accent to any gameroom. 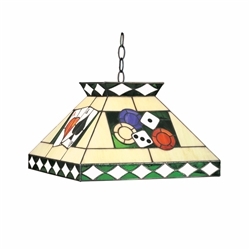 Also available in Matching 3 - Fixture Shade Light for your Pool Table. 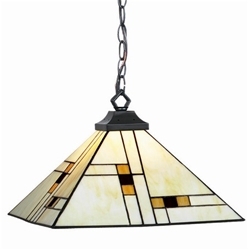 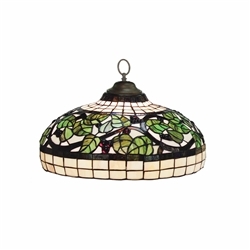 This Stained Glass Pendant with Expresso Finish is also available in a Matching 3 - Fixture Shade Light for your Pool Table. 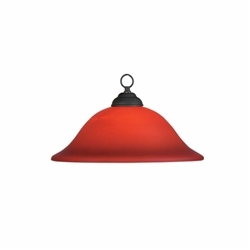 This Burgundy Glass Pendant is also available in a Matching 3 - Fixture Shade Light for your Pool Table. 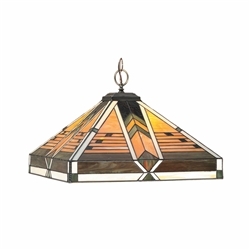 This Glass Pendant with Oil Rubbed Bronze finish is also available in a Matching 3 - Fixture Shade Light for your Pool Table.